The global news network Al Jazeera recently published an article highlighting the women-run Network of Community Radios for Peace and Development in Casamance, Senegal, a project that was launched by World Education in 2007. The community radio network is a multilingual network that highlights issues of importance in the community. In a time of violent conflict in Senegal due to separatist movements in Casamance, the radio shows are an outlet for widespread discussion sometimes controversial topics such as cross-border issues, womenand children's rights, religion, and disability. Community groups often meet with a journalist in attendance to listen to the programs and then discuss the issues from the broadcast. The community journalist reports the community's perspectives on the air, creating an interactive dialogue between presenter and listener and fostering further discussion. In addition to funding the program, World Education also trained the community journalists, built women’s capacity, and provided essential equipment. We also built the technical, administrative, and financial capacity of the radio station staff to ensure a long and productive future. The first radio station supported by this network was created in 2004. World Education received a grant in 2007 to provide developmental support for the project, manage the technical equipment, refocus the content of the shows to women’s rights, and promote sustainability for the networks. Today there are 52 female reporters in the Network of Community Radios for Peace. 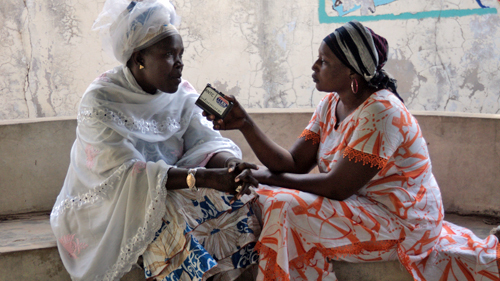 Although World Education’s involvement in this project ended in 2010, we continued to promote and support the power of women-led community radio throughout Senegal, most recently with the USAID-funded Women’s Leadership and Civic Journalism program, which ended after seven years in 2017, training 60 community reporters in the Thiès and Diourbel regions, as well as the Casamance. Read the article, Women-run radio stations broadcast for peace.